Bilbao, in Spain's Basque country, is worth a visit. 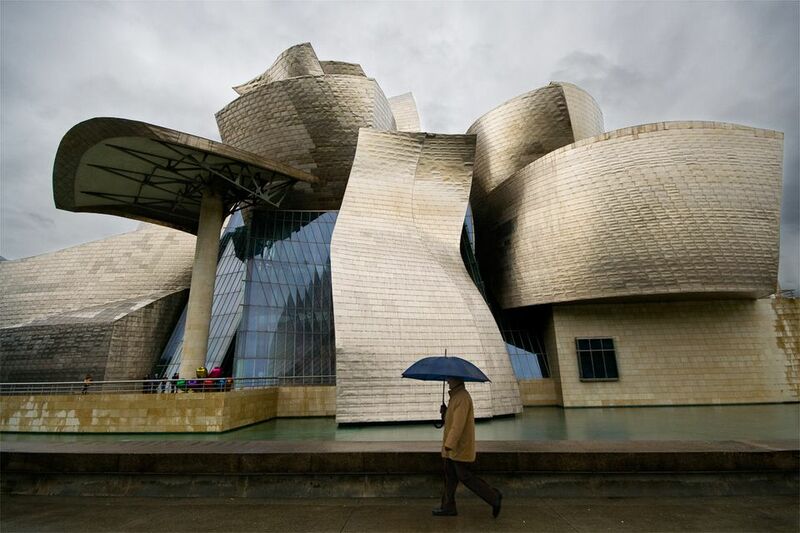 Bilbao is home to the Guggenheim Museum, one of Spain's greatest modern art museums (rivaled only by the Reina Sofia in Madrid.) Even if you are not into modern art, the Frank Gehry-designed building is worth seeing. There are many ways to reach Bilbao traveling by train, bus, car, and plane. Bilbao’s Casco Viejo is the oldest part of the city, dating back to the end of the 14th century. You can enjoy walking its Siete Calles (Seven Streets). There are shops to peruse, gourmet food purveyors, boutiques and Spanish bakeries. When you need a pick me up, visit a local bar and try the sparkling wine (Txakoli). If you want to explore the regional wines a bit more, take a tour to nearby Rioja. There are regular buses throughout the day traveling between Madrid and Bilbao. The journey takes five hours. The train journey is of a similar length but is more expensive (and less frequent), but the train station in Bilbao is more central than the bus station, making your transfers a whole lot easier. Buses from Madrid to Bilbao depart from the Avenida de America bus station. You can find out more about bus and train stations in Madrid and bus and train stations in Bilbao to help plan your trip. There are two trains a day from Bilbao to Madrid, with the journey taking five hours. The bus is cheaper but a little less convenient. Trains from Madrid to Bilbao depart from Chamartin train station. It takes 4 hours to drive the 400 kilometers from Madrid to Bilbao, following the A-1, AP-1 and AP-68 roads. Note that AP roads in Spain are toll roads. Consider a stop in Burgos to break up the long journey. There are regular flights from Madrid to Bilbao and they can be very cheap if booked in advance. Airlines such as Vueling, Iberia, Renfe, and KLM make this trip. Bilbao's airport (BIO), is located 12 kilometers from Bilbao, in the municipality of Loiu.